I am a Math graduate from California State University of San Bernardino, where I received my BA in Math. I have been tutoring privately and at schools since 2002 in various subjects such as physics, mathematics, and chemistry. My first experience tutoring was at my high school as a paid tutor. When funding was cut from the program I was the only one out of 15 tutors that stayed as a volunteer. When it comes to tutoring my goal is not simply for the student to pass the class or exam they are taking, but to view the subject in a different way that allows them to greatly improve in the subject and be able to continuing doing well for other matters. I use a pen pad and use screen sharing apps to allow for a rich online tutoring experience. I am willing to travel for tutoring and am very flexible with hours. I am bilingual in Spanish and can tutor in it if desired. I grew up speaking the language and studied it further in high school and college. I look forward to meeting with you for any questions do not hesitate to email. Rate details: Any lesson canceled without at least an hour notification is subject to be charged for entire lesson, as if it happened. Weekends are reserved for online lessons. I constantly use computers in my daily life, from managing my business as a tutor or looking up new technologies and products. My first semester as a computer science student I received A's in Computer Science 1, HTML (website language), Wordpress (content management website), and Computer Information Systems, and Game Design. I took Algebra in middle school and during high school was enrolled in only Honors or AP math courses including AP Calculus and Statistics. I went on to college to obtain a Bachelor's in Mathematics. I took Honors Algebra 2 in high school and went on to obtain a BA in Math at CSUSB. My freshmen year of high school I took Honors Geometry and it paved the way for my high school career with only Honors or AP courses in math and science. This played a large part in my decision to obtain a B.A. in Mathematics. I took Honors Pre-Algebra in 7th grade. The experience lead to my passion for mathematics. My confidence in this subject inspired me to branch out and by my junior and senior year of high school all my classes were either honors or AP. This lead to me obtaining my B.A. in Mathematics. I took Honors Pre-Calculus my junior year of high school and went on to take and pass AP Calculus my Senior year. All the math courses I took in high school were either Honors or AP. I only took the SAT Math once due to my high scores. Through my 15 years of tutoring, I have found the best way to learn math is not by memorization, but understanding the subject as a whole. The SAT math questions are similar in that they do not ask simple plug a value into a formula, but to think about how numbers work and to apply that knowledge. I learned the topics of trigonometry in my Honors Pre-Calculus class my junior year of high school. This subject has the fundamentals for advanced geometry and higher calculus both of I took in college in order to earn my B.A. in Mathematics. Victor, was patient and went over areas of difficulty explaining not just how to do the next steps in pre-algebra but also why that next step is necessary to get to the correct answer. Great at Math, all levels, from high school to college. I would most certainly use him again and recommend him. He was referred by another client of his and I'm glad he was. Victor was able to accommodate us by scheduling my daughters math lesson on short notice. He took genuine care in understanding my daughters struggles with Pre-Cal and Trig and came up with a plan on how to help her better understand the material. He even went out of his way to schedule a weekend appointment in preparation for her upcoming math test. He was friendly, patient and was able to explain the material in a way my daughter could connect with. Looking forward to her next session Thanks, Victor! Victor helped my son for the test. After the lesson my son said he is confident and understand the chapter. Victor came to help us even I had to ask him to come today because my son's math teacher suddenly changed the test day. Thank you, Victor! Victor was outstanding with my son. Victor made my son feel comfortable and I appreciate his willingness to work with us and our schedule. 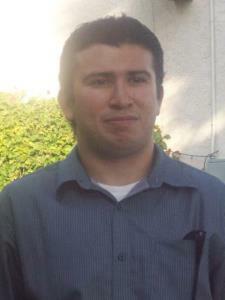 We are looking forward to continuing the tutoring with Victor. It was easy to communicate and set up appointment scheduling. Victor taught my son algebra 2. He was very patient and was able to see where He needed help. Well Definitely continue to use him as my son Tuter. Victor was extremely helpful, patient and knows his College Algebra. He helped me understand what my teacher couldnt get me to understand. Breaks it down and makes it simple to understand and learn. Victor helped me with the SAT Math. He is a good tutor, he can find my weakness and helped my improve my skills to solve the problems. I really recommend him. A great tutor - and especially patient! Victor is really knowledgeable about his subject and makes it easy to understand - despite a long history of math fear and loathing! Thank you, Victor! He concentrates mostly on finding your learning weakness and overcoming it. Because of him I earned straight A's this semester, I highly recommend him to anyone in any level math course.